NIA CHARLESTOWN NEVIS (JANUARY 15, 2015) — Premier of Nevis and Minister of Finance in the Nevis Island Administration (NIA) Hon. Vance Amory, believes if Nevis and St. Kitts succeed in expanding the focus of the Citizen by Investment Programme (CBI), it would bring a new dimension and a source of funding to the governments in areas critical to the social, economic and human development of the people of St. Kitts and Nevis. 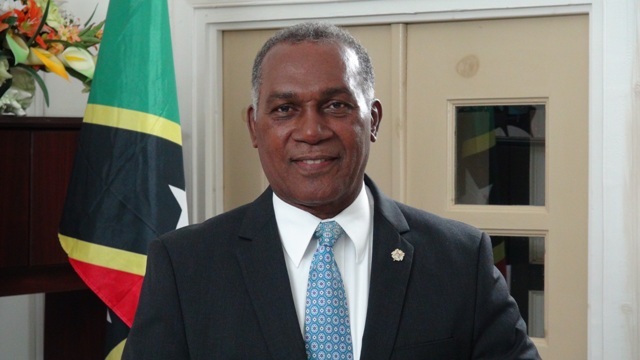 Mr. Amory made the comment in an interview with the Department of Information on January 15, 2015, hours before a scheduled meeting at the Four Seasons Resort with potential international players who he said were interested in investing in the CBI Programme in St. Kitts and Nevis. According to the Premier, though the traditional areas of real estate development and investment real estate or contributions to the Sugar Industry Diversification Fund (SIDF) are important, new avenues of investment are also available in government infrastructure, health and education development. Mr. Amory explained, if they were successful in attracting investors in those areas, the CBI would be a cut above competing investment programmes in the region. “I believe that if we were to change the focus or expand the focus of the investment programme to include investment directly by those who have an interest in health development, in education and so on, we could make a big difference and differentiate our programme from the other programmes in the region, which in a way, have followed the St. Kitts and Nevis model of providing real estate development, development of hotels and so on,” he said. However, the Premier noted that in spite of the expansion thrust of the CBI Programme, the importance of tourism to the Federation would not be overlooked. He said the tourism industry remains a critical one to the economy and will remain that way into the future, therefore, the expansion is necessary. “We have to continue to expand the product, expand the properties so that we can increase the rooms which will allow us to better market St. Kitts and Nevis and to allow the airlines to know that we have increased rooms year and year so that we can have increased airlift,” he said. Mr. Amory expressed hope that he and others from Nevis would be able to persuade the potential investors to look at the available options. He was also hopeful that they would see the adjustments made to the CBI Programme to improve its efficiency and the efficiency in the response of the CBI Unit and feel comfortable that St. Kitts and Nevis still has the best CBI Programme in the region. Mr. Amory also noted that meeting with the potential investors provided himself and others from Nevis an opportunity to convince the potential investors and promote St. Kitts and Nevis as the premier Citizenship by Investment Programme in the region. The Premier said, the potential investors were also expected to visit a number of tourism-related properties under the CBI programme on Nevis for a first-hand assessment. “I think it is important that they see the product, see the properties and be able to, then, not just have what has been the new thrust of investing in a of plan promotion but actually viewing the properties, assessing the value of the properties, assessing the importance of the property to them and then be able to make their determination as to purchasing, investing in the programme here in Nevis,” Mr. Amory said.